"You can book tours & activities once you get here at the reception desk where we will help organice your stay"
Includes: boat, equipment, guide (PADI Dimester), fruits and beverages. 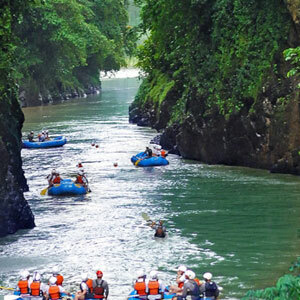 Includes: boat, equipment, guide, fruits and beverages. 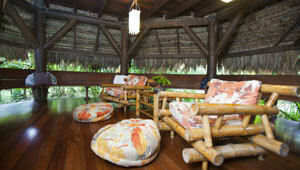 We will pick you up at your hotel and take you to the village of Cahuita. There the guide will be waiting for us to start the walk through the park. In the guided hike, which lasts about 2 hours, we will be able to see the different animals and vegetation of the area. At the end of the walk the car will take us back to the hotel. 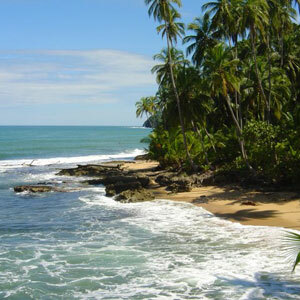 When we arrive to Cahuita we will receive the necessary equipment to start the snorkeling on the reef. Then we will take a boat to the litoral of the National Park. 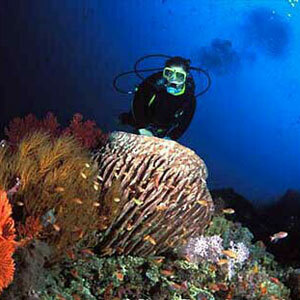 When we arrive to the reef we will enjoy the beautiful aquatic world for aprox. 2 hours. After that we will have a box lunch and later we will do a hike through the trails of the National Park to return back to Cahuita where the car will be waiting for us. 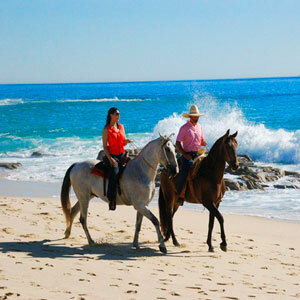 We will pick you up at your hotel to depart to Manzanillo. 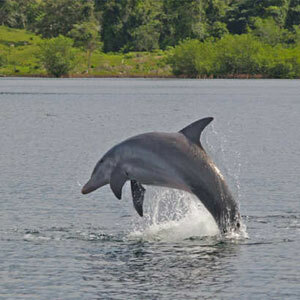 There we leave the car and take a boat to the area of water encompassing south of Punta Mona to the border of Panama, which is the best area for watching the different species of dolphins. 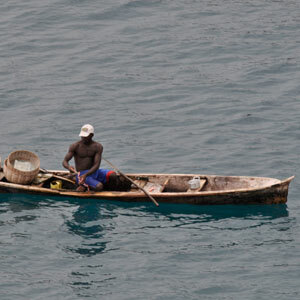 Upon request the captain will take us to various snorkeling locations depending on sea conditions. 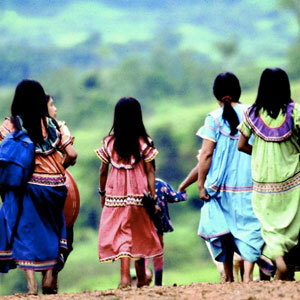 The guide will pick you up at your hotel to depart by car towards the Bri Bri reservation. There we leave the car and start a hike that will take us to a virgin jungle. Then we get to a waterfall where we can swim and enjoy a naturaljacuzzi. There we will continue going to visit the town of Uatsi where we will visit some Bri Bri ranchos and will have the possibility to know more about the way of living and the handcrafts of this tribe. On the way back we will stop at the iguana farm. We depart from the hotel and leave toward Siquirres where we will have time for breakfast. After breakfast we will go to the Pacuare river where the guide will be waiting with the necessary equipment and boats to go down (before you need to listen a security and orientation speech). We offer a class III-IV going down 28 kms of rapids where the fun is definitely guaranteed. On the road we will enjoy lunch. After the rafting about 3,5 hours we arrive to Siquirres where we will find bathrooms and dressing rooms. 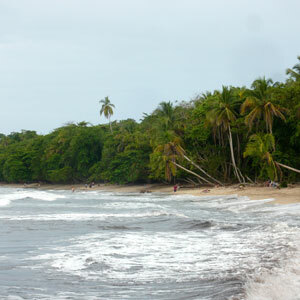 From there we will return to Puerto Viejo or San José, which is previously decided. Visitors to the tropical garden will see tropical flowering plants, medicines, spices, and over 60 kinds of fruit trees. Learn about chocolate production, black pepper, cinnamon, among others. You will also see the brightly colored poison dart frogs. All tours visit the demonstration table where they serve a natural juice drink, sample fruits and examine curiosities from the rainforest. Our transport picked up at your hotel to go to Manzanillo where our guide will be waiting to get into the primary forest of the Refuge. Monkeys, toucans, sloths and lots of birds will be our companions during the journey, which takes us to the depths of the rainforest for 4 hours. During the return, you can watch the changing landscape, which will be transformed primary jungle to coastal vegetation. At the end of the tour they will have enough for a swim at the beach time before our minibus takes them back to his hotel. If you want to lengthen the bath inform the guide to delay the transportation. When we get there we will start with a walk to the first platform and after the first short cable we will begin a guided walk through the rainforest. At the end of the walk, we will start our adventure on cable again. 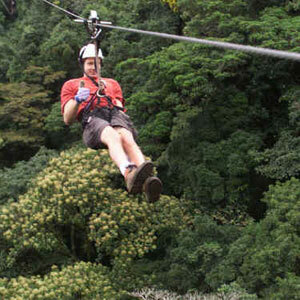 The canopy is done by 9 aerial platforms and 11 on the ground, being the total length of the cable of 2150 meters. During the tour on the top of the trees the naturalist guide will keep on explaining about the vegetation and animals of the surroundings. Tours range from 1 hour to full day to multi day excursions, guiding you along the coast, exploring idyllic beaches and into lush, gorgeous jungle trails. We will match you with the perfect horse based on your comfort level and experience. Your guide will explain the basics of horseback riding and tell you about the beautiful Caribbean region and the amazing nature of Costa Rica. We offer tours for riders of all levels and for children ages 5 and up. We provide helmets and all necessary riding equipment. Shorter tours require a minimum of 3 people, while longer rides require a minimum of 2 people. 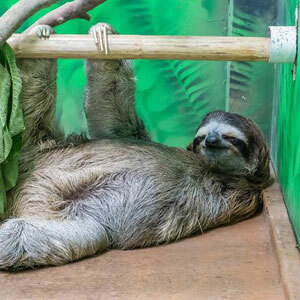 Available in English & Spanish, this 2-hour tour offers a superb introduction to sloths. You will be able to photograph sloths, including Buttercup and baby sloths in our juvenile nursery. Sorry, no touching or holding sloths. 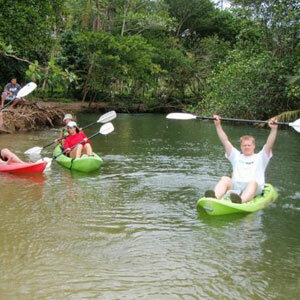 Includes a guided river tour in a comfortable canoe with an expert boatman/guide. After your tour, weather-permitting, walk along our tranquil, well-maintained rainforest trail. 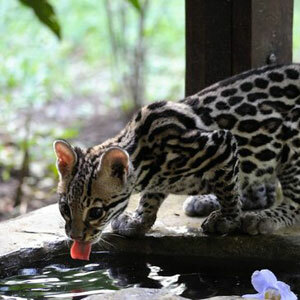 The Jaguar Rescue Center is the nursery where we tend to the rescued animals. Guided tours of the centre give you the chance to see how we work, and get a closer look at the wild animals of Costa Rica. 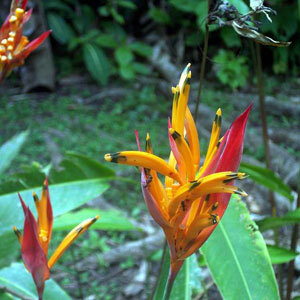 La Ceiba Natural Reserve is the paradise where we release the animals. With 49 ha of wild primary forest to explore, it is located just 4km away from the Jaguar Rescue Center. The visit in La Ceiba will take you to the middle of the rainforest, spotting wild animals and enjoying the ambience of the jungle. A kayak trip, paddling up a still river, surrounded by the sounds and smells of the jungle. There is no better way to see the sloughs, toucans, iguanas, howler monkeys and a variety of other animals endemic to the zone. Our kayak guides are very knowledgeable about the flora and fauna of the zone, providing not only detailed explanations of the animals, but also professional photos of yourselves and the encountered wildlife in this unique environment. Depending on the season, the kayak trip terminates with a stint at sea, giving you the opportunity to see the coastline from this perspective; a view that is not too different from what the first explorers would have seen. Returning to shore, depending on your ability and sea conditions, we terminate this tour with either kayak surfing or a snorkeling tour in tropical Caribbean waters. The spawning of sea turtles is one of the most impressive spectacles of nature. The Caribbean of Costa Rica is an important nesting site some species including; Hawksbill, green and leatherback (world's largest and most endangered sea turtle). 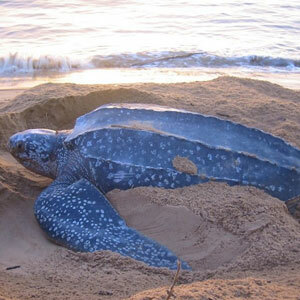 These incredible reptiles visit Gandoca beaches in the months of February to July, you can observe the nesting in the company of our experienced local guides, we will talk a specialized conservation about the project developed here to protect from extinction these prehistoric creatures. Bocas del Toro islands are located right across the Costa Rican border in the Caribbean zone of Panama. This area is known for it’s great cultural and biological diversity, for the many islands and islets found there and for the great expanse of coral reef that surrounds them. It is one of the few places in the world where you can snorkel almost every day of the year. ONE DAY TOUR INCLUDES: Round trip transportation to and from hotel, all other transportation, immigration pass, snorkel gear, lunch, guide and a tour of the town and two nearby islands, Bastimento and Zapatilla, where snorkeling is available. OVERNIGHT TOUR INCLUDES: Round trip transportation to and from hotel, all other transportation, immigration pass, snorkel gear, all meals, guide, dolphin sightseeing and tour of town and two nearby islands, Bastimento and Zapatilla, where snorkeling is available. 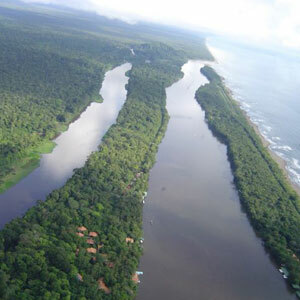 The tour includes all the transportation, all the meals while in Tortuguero, a guided tour to the town of Tortuguero and a boat tour through the jungle canals of the National Park. English speaking guide is also included. On a typical day, we will travel to several offshore reefs on our way to the Southern tip of Costa Rica near the Sixaola River. Take a peek at Panama from the sea while we view several pods of dolphins and the occasional turtle. This is the best place to find the Tarpon, a feisty, flashy game fish, better for playing than eating. If the water cooperates, we may stop along some deserted beaches, snorkel pristine reefs or dive for lobster, octopus and sea snails. Returning to the harbor, we round out the day by trolling near shore, allowing guests a phenomenal view of the private inlets, the picturesque beaches with dense jungle meeting the sea, and the steamy mountains in the distance. Once on the beach, the crew will clean and prep your day’s catch for you. We’ve personally negotiated with select restaurants in the area to assure that when you’ve hooked ‘em, they’ll cook ‘em to perfection!